Our boys and girls have won this annual event for an astonishing seventh time in a row. 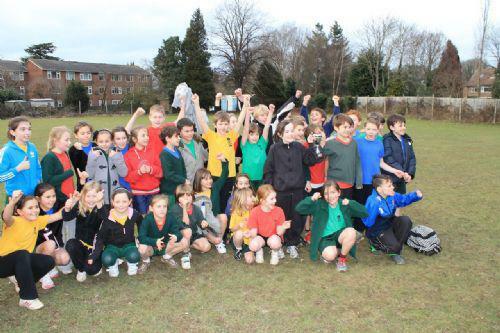 Held at Yattendon, teams from the host school, Salfords, Burstow and MGJ competed for the much prized trophy. Boys and girls from all year groups competed and won all their races, therefore winning the overall event. Speaking afterwards children said they were thrilled to have won again in Olympic year. Thanks go to the teachers who coached our team and organised them on the day. Also a big thank you to all the parents who helped with transport and cheered our team to victory.